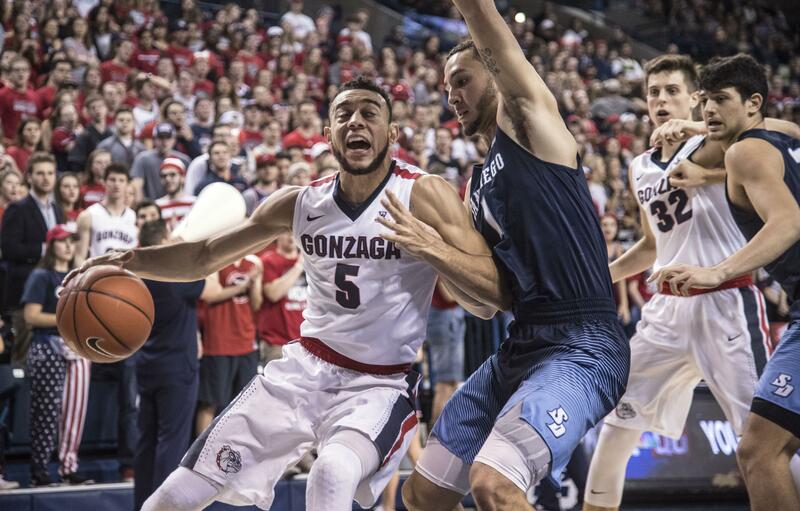 LAS VEGAS – Nigel Williams-Goss didn’t brush off the media after Gonzaga’s road win over Portland at the Chiles Center in January. But it was obvious he wanted to be somewhere else. The native of nearby Happy Valley, Oregon, had friends and family waiting to see him, but mostly he wanted to spend as much time as possible with grandmother Barbra Hingston. She was diagnosed with cancer a little more than a year ago and hasn’t been able to attend as many games as she did when Williams-Goss was younger. Williams-Goss asked a reporter if it was OK to do a walking interview so he could get a head start toward her location, but he was quickly stopped outside the locker room by a knot of media members. He respectfully answered questions before hurrying off to find his family. The WCC tournament in Las Vegas will be a trip home for Williams-Goss. It carries additional meaning because Barbra is planning on watching her grandson’s games at the Orleans Arena. The family relocated from Oregon when Williams-Goss attended Findlay Prep in Henderson, roughly 20 miles from Las Vegas. Barbra splits time between her home in Portland and Williams-Goss’ parents’ home in Nevada.